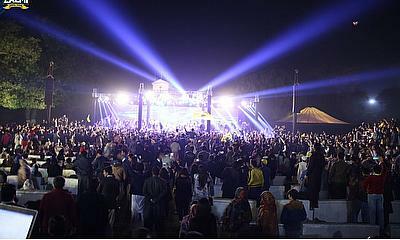 Peshawar Zalmi conducts the Biggest Kit and Anthem Launch in Peshawar, Memorable Event conducted in Governor House Peshawar, Captain Daren Sammy, Chairman Javed Afridi Brand Ambassador Hamza Ali Abbasi, Gul Panra, Zeek Afridi, Sahir Ali Bagga made the event memorable for everyone, Citizens of Peshawar excited to the core. 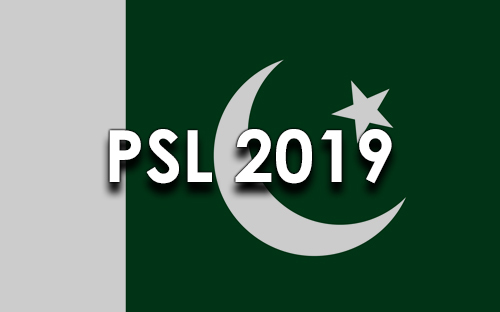 PSL's biggest franchise Peshawar Zalmi has made the loudest impact ahead of the PSL 4. 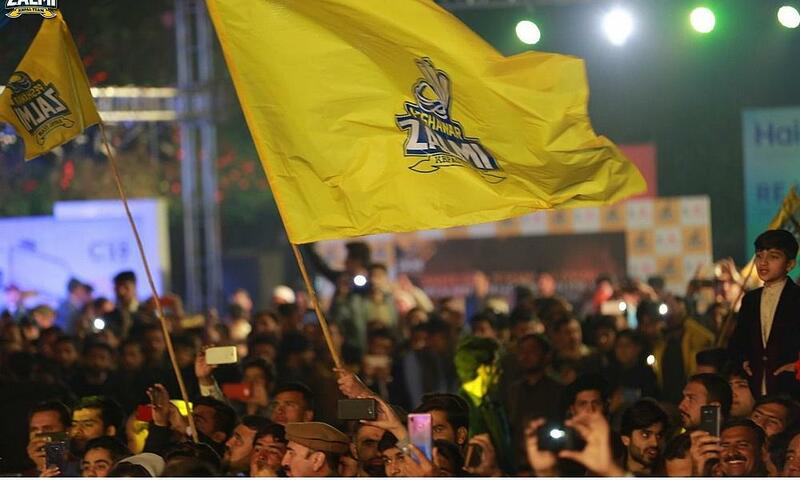 Peshawar Zalmi conducted the biggest anthem and launch ceremony and made it one of the biggest events of Peshawar. Peshawar Zalmi Captain Daren Sammy landed in Islamabad earlier this morning and was greeted by fans at the airport. The crowd was chanting the slogans of "Pakhair Raghlay" for Daren Sammy. 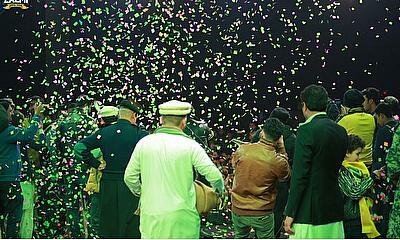 Later, he visited APS to pay his tribute to the martyrs of APS. 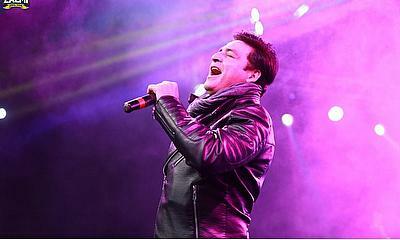 The kit and anthem launch ceremony were held in the evening. 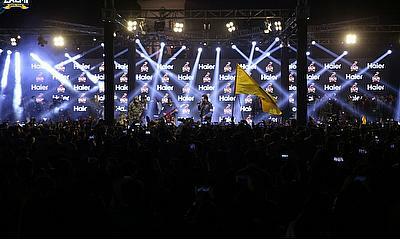 Peshawar Zalmi Captain Daren Sammy, Umaid Asif, Kamran Akmal, Ibtisam Sheikh along with other cricketers along with Zalmi Brand Ambassadors Hamza Ali Abbasi & Sana Javed made the event a memorable one for everyone around. 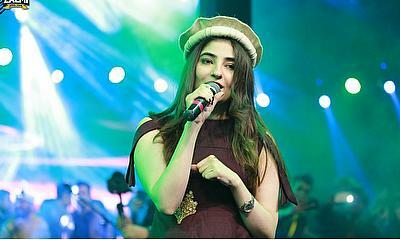 The musical performances by Gul Panra, Zeek Afridi & Sahir Ali Bagga made the crowd swirl over the melodious beat of the new Pashto & Urdu Zalmi Anthem. The event was enjoyed by families and the youngsters. 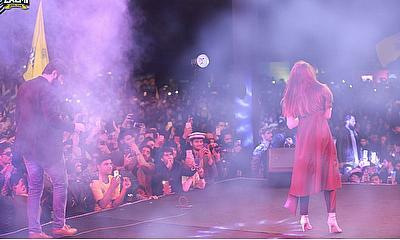 The people of Peshawar turned up in great numbers and made the event a successful one. They enjoyed to the fullest and thanked the Zalmi management for this wonderful event. 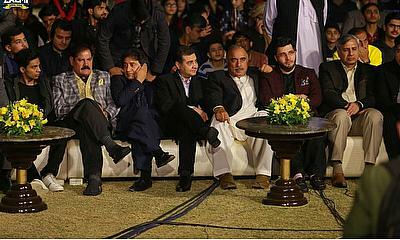 Peshawar Zalmi Chairman Javed Afridi apart from thanking captain Daren Sammy & Peshawar Zalmi players also thanked the Governor of KP, MNAs, MPAs, Showbiz Stars & the citizens of Peshawar in making this event a successful one.